For reference, see also our recently released fact sheet: Discrimination & Hate Crimes Against Christian Palestinians in the Holy Land. Bethlehem, home to the Church of the Nativity, which rests on the spot where Christians believe Jesus was born, has a population of approximately 22,000 Palestinians, of whom approximately 18% are Christian. Bethlehem is surrounded on three sides by Israel's West Bank wall, which has been deemed illegal by the International Court of Justice. In and around Bethlehem there are some 32 physical barriers to Palestinian movement erected by Israel, including checkpoints, roadblocks, dirt mounds, and gates. The wall, settlements, and other barriers severely restrict the mobility of Palestinians in the area, preventing farmers from accessing their lands, and wreaking havoc on the local economy. There are approximately 250,000 Palestinians living in occupied East Jerusalem, including approximately 10,000 Christians. They can travel inside Israel and vote in municipal elections, but do not have Israeli citizenship or the right to vote in national elections, and face the constant threat of losing their residency rights if they can't prove the city is their "center of life" to Israeli authorities. There are approximately 200,000 Jewish settlers living in the expanded boundaries of East Jerusalem in violation of international law. 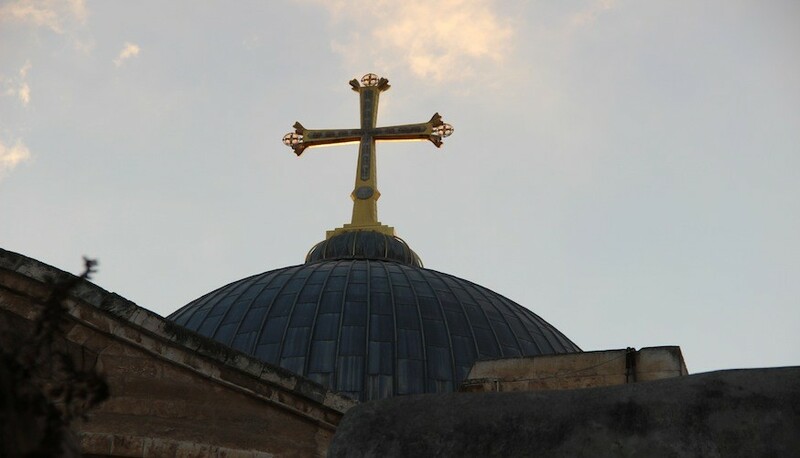 Historically, Jerusalem has been the religious, economic, and cultural center of Palestinian life in the West Bank, and is home to some of Christianity's holiest sites, including the Church of the Holy Sepulchre, which Christians believe was built on the site Jesus was crucified and buried. Following its capture and occupation in the 1967 War, Israel expanded the municipal boundaries of East Jerusalem, which comprised about four square miles, adding an additional 45 square miles (more than 17,000 acres) of the occupied West Bank to the city, which was then annexed to Israel along with its Christian and Muslim holy sites. Neither move has been recognized by the international community, including the United States. Since 1993, Palestinians living in the West Bank and Gaza have been forbidden by Israel to enter East Jerusalem without a difficult to obtain permit. As a result, millions of Palestinian Muslims and Christians living in the West Bank and Gaza are prevented from accessing the city and its holy sites. Since Israel occupied it in 1967, successive Israeli government have attempted to cement control over East Jerusalem by building illegal settlements for Israeli Jews while attempting to limit the growth and spread of the Palestinian population. Encouraging Jewish settlement in historically Palestinian-Arab areas through official and unofficial organizations. Revoking residency rights and social benefits of Palestinians who stay abroad for at least seven years, or who are unable to prove that their "center of life" is in Jerusalem. Since 1967, Israel has revoked the residency rights of more than 13,000 Palestinian residents of East Jerusalem. 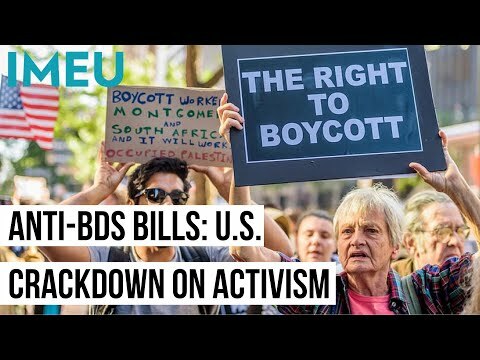 According to the US State Department 2013 Human Rights Report, released in spring 2014: "Continued Israeli revocations of Jerusalem identity cards amounted to forced exile to the occupied territories or abroad." Systematically discriminating against Palestinian neighborhoods in municipal planning and in the allocation of services and building permits. According to the US State Department 2013 Human Rights Report: "In both the West Bank and Jerusalem, Israeli authorities placed often insurmountable obstacles in the way of Palestinian applicants for construction permits." Destroying Palestinian homes and structures built without difficult to obtain permission from Israeli authorities. Since 1967, approximately 2000 Palestinian homes have been demolished in East Jerusalem. According to official Israeli statistics, from 2000 to 2008 Israel destroyed more than 670 Palestinian homes in East Jerusalem. It's estimated that the number of Palestinian housing units threatened with demolition is as high as 20,000.